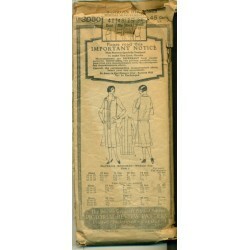 *1929 & Earlier There are 18 products. 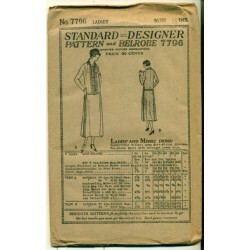 Great sewing pattern for a flapper dress from the 1920's! 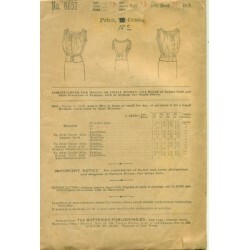 Drop waist with convertible collar and set-in sleeves. Made by Standard Designer and Belrobe, #7796. It has a stunning insert in the bodice which adds a lot of interest to this fun dress. 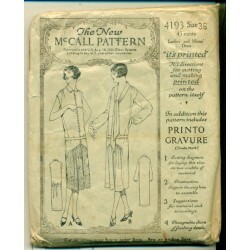 You can sew a nice dress from the 20's with this real pattern from that era! 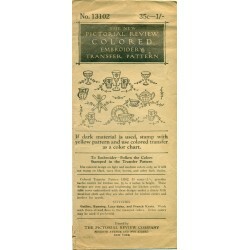 Cute embroidery transfers from Pictorial Review No. 13102. Scenes of all kinds of tableware like cups, saucers, wine glasses, teapots and more. Vintage and dainty styles of hand embroidery for your linens and more. Uses outline, running, lazy daisy and french knot stitching. Envelope only. 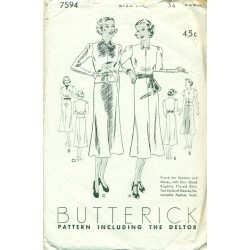 Great surplice style blouse pattern from Butterick Sewing! Circa 1890's. 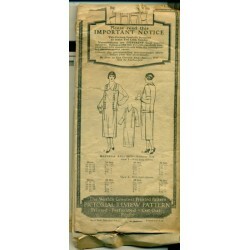 Sew a fashionable shirt with this pattern from the Victorian and Edwardian era. Long sleeves with choice of high neck, open neck or collar. Drapes from right to left across the front. 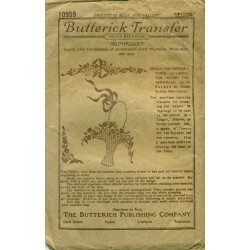 Original, antique blouse pattern from the 1890's and Butterick. 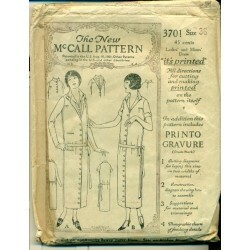 Retro prairie dress pattern. No. 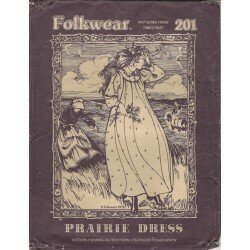 201 from Folkwear, Patterns from Times Past. Long sleeved, floor length with plenty of room and flowing. 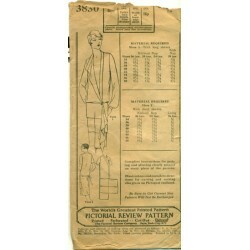 Even has a featherstitched, flounced apron pattern with pockets. 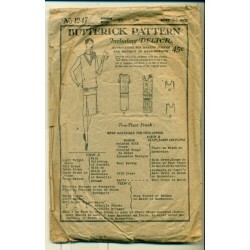 A great, vintage sewing pattern for historic and reenactment wear and fun. 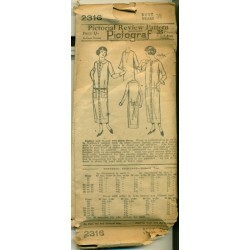 You can sew a nice, retro prairie dress with this vintage Folkwear pattern! 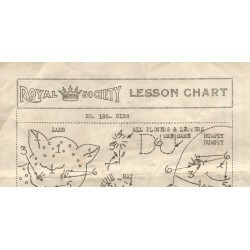 Royal Society Lesson Chart No. 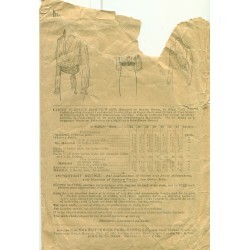 186 for bibs. Instructions for cute motifs like Humpty Dumpty, Man in the Moon, lamb, spoon, hat and more. All nursery rhymes. 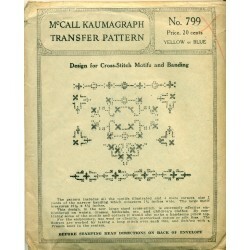 Includes instructions for the colors and embroidery stitches. 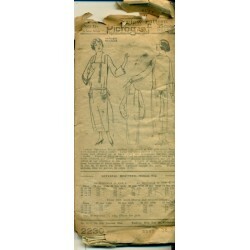 Opposite side has illustrations of various stitches used. 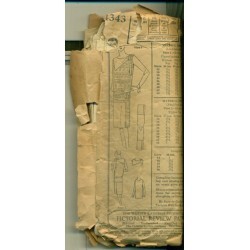 A nice, vintage chart for embroidery from Royal Society!